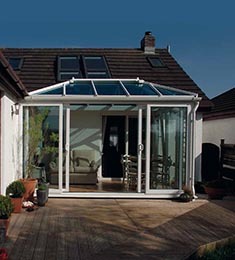 For replacement windows or door products in Camberley, contact Victory Windows and Conservatories. We have taken our time to build our business, we now offer the best double glazing products to your area at a real competitive price providing value for money service. We pride ourselves on being able to maintain our high standard of product and installation without the need to have every used a ”High Pressure” sales approach. Our beautiful installations to speak for themselves, there is nothing more persuasive than recommendation made by a very satisfied customers. Like most people you may require help and advice, we would be please to assist you in making the right decision towards your double glazing project. Just email us, or or give us a call on 02392 666955 and ask for a call back. Once you see how we can transform your home, you will join our group of satisfied customers and recommend us to your friends and family. uPVC (Unplasticised Poly Vinyl Chloride) Windows have come a long way since they were first introduced. Now you can have top hung, side hung casement windows as well as a bay window or a bow window. Tilt 'n' Turn window, or a uPVC sash window. All our windows are manufactured to the highest British Standard to ensure our range of grade ”A” energy efficient uPVC Windows including our Sliding Sash Windows will transform your home. Our range of uPVC windows come in a variety of colours, from standard white to Light oak or a warm Rosewood colour and be supplied in a woodgrain finish as well as black, white and cream woodgrain finish. 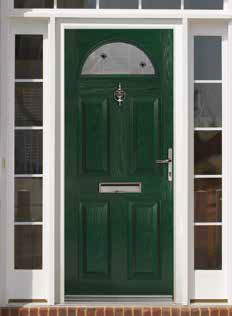 Many Camberley homes can boast in their appearance in having a white pvc-u finish on the inside and a rosewood or light oak finish. Other colour are available if required.